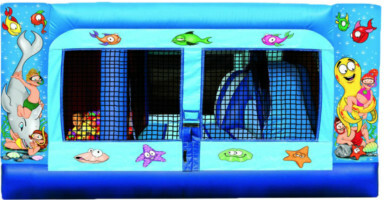 This unit is our standard 4-n-1 combo unit with an area to bounce, climb, slide and a play area. All with an under the sea theme and inside is the sea of balls for everyone to get lost in. .